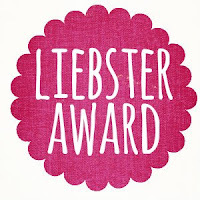 I was like, "Awesome name, What's a Liebster?" Guess what? I still don't totally know, but I am super excited! (1) I have a withering stare; (2) I am trying very hard to quit my job but work keeps coming in; (3) My sister is the funniest person I have ever met, true story; (4) I go disappearing a lot. Last summer I went to Europe for seven weeks and told approximately three people who weren't my parents before I left; (4) My mix-tape is a masterpiece; (5) In the past three years, I broke my coccyx bone. Twice; (6) I buy red wine by the case and there is usually no less than 20 bottles in the house at a time; (7) I go to great lengths to avoid public transport in the United States, but have used public transit all over Europe, Africa and the Middle East. Literally, I do not ride the NYC subway. No matter what, ever; (8) My grip on reality is rather loose and thus I am constantly managing my unwieldy expectations; (9) I drove my first car into the back of an oil truck, because I was turned around getting something from the back seat. Let’s call it a compact disc from 1999, but know that I was really reaching for something else; (10) I went to a very small, odd college and joined a sorority while I was there. Anyone who knows me can understand how woefully out of character that was; and (11) My girl crush on Scarlett Johansson is as genuine as my irrational hatred for Anne Hathaway. are among the most lovely things in the world. Honorable mention to anything sold at Gallaries Lafayette as well. My boyfriend, pretty boring answer right? He is my +1 to our wedding in April. she killed it so hard we need new words for 'killed it'. This is dress is my deco, chystler building, highly constructed dream. Without question, I am abnormally obsessed with Steve Prefontaine and the Munich Olympics. Denim vest, Hanes wife beaters, Chanel handbag. Your favorite TV show of all time? If you could be any TV or movie character, who would you be? If you could buy one item of any price, what would it be? He isn't my all time favorite, but I am pretty obsessed with Olafur Arnalds these days. Answering jeopardy questions correctly without really knowing what I am talking about. Seriously, things like "What is Upton Sinclair" just barrel out of my mouth. What is your most recent cringe-worthy moment? All expenses paid, where are you taking your next trip? 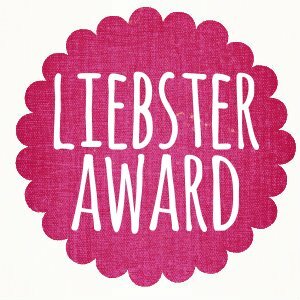 What is the strangest thing you have learned through blogging? How did you spend New Years Eve this year e.g. was it an accurate reflection of 2013 so far? Do you prefer e-readers or actual books? Last concert you saw or wish you saw? If you had to name one thing, what do you wish you knew in high school that you know now? 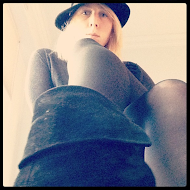 Do you blog as a job, hobby, latter hoping for former? Thanks for the shout out Amanda! It'll probably take me a couple days, but I'm all over this... I swear. Thanks for passing this on to me, I appreciate it! Like your answers, that steamer trunk is nice! fun post! i love abfab and harvey nichols too, especially since i'm a total anglophile :) oooh and i loved halle berry's dress too! perfection.